Jeopardy of Contentment favorite Dr. Dog will be coming through town a few times in the next few months. In addition to playing the Wakarusa Festival on Saturday June 7th and Sunday June 8th they will also be appearing at The Record Bar on September 30th. 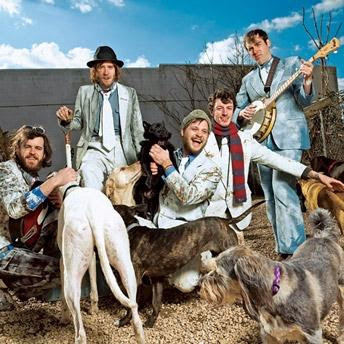 Not only do Dr. dog have an album in my Top 50 Albums of '07 but they made the Top 15 Shows of '07 as well so their headlining gig at The Record Bar is sure to be a good time. Their new album, Fate, will be released on July 22nd.